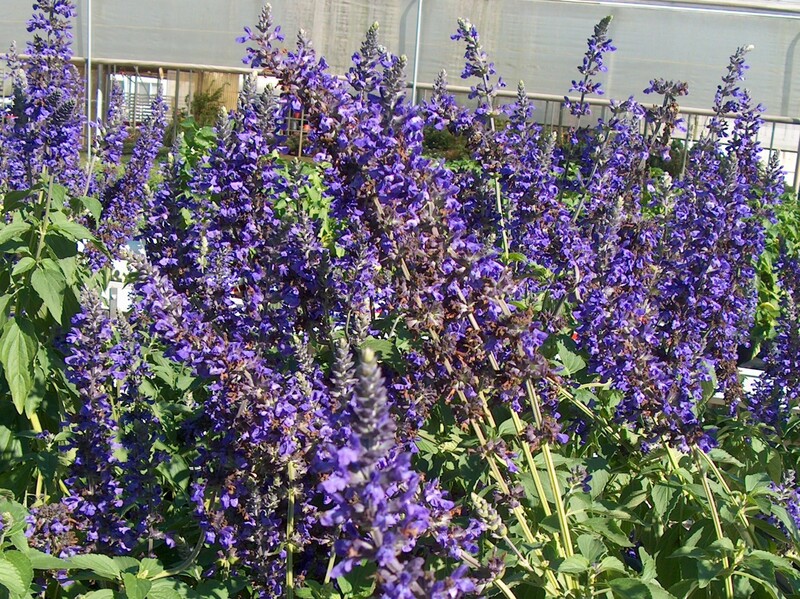 Comments: This salvia produces striking purple flowers over an extended period from late spring until frost. The foliage of this salvia like many of the varieties has a blue cast and is a nice contrast to many of the other greens in the garden. Provide full sunlight and a well drained soil for all salvias. Hummingbirds and butterflies are attracted to the flowers.